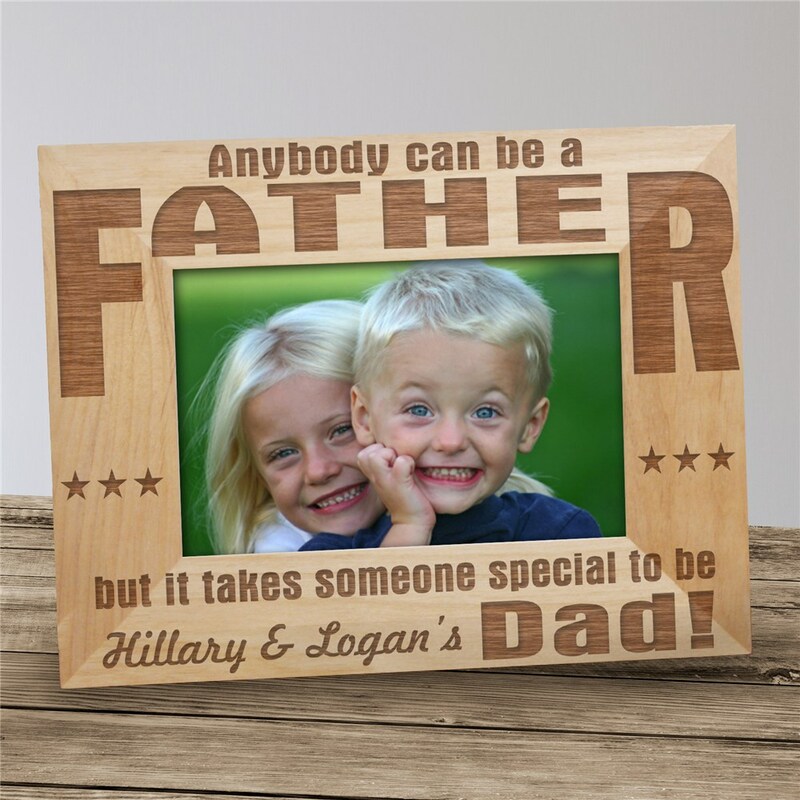 This Anybody Can Be...Dad design is engraved on our 4" x 6" wooden picture frame. Our Dad picture frame includes an easel back that allows for desk display or can be hung on the wall. Fathers Day Dad Frames include FREE personalization! Personalize your Dad Picture Frame with up to any 12 children's names. I bought this for my son-in-law. He loved this gift!